Mr. Henry Frank (Hammett) Estelle was born on April 16, 1937 to the late Mr. Frank Estelle and Mrs. Gladys Ashley Estelle in Talladega, Alabama. Hammett confessed Christ as his Savior and became a member of Africa Missionary Baptist Church. He received his formal Education in Talladega County School System and attended R.R. Moton High School. He retired from Talladega Foundry Machinery. On Sunday, May 20, 2018, God arrived and took him to His heavenly home to rest in eternity. Mr. Estelle was preceded in death by his parents Frank and Gladys Estelle, and a brother William Henry Estelle. 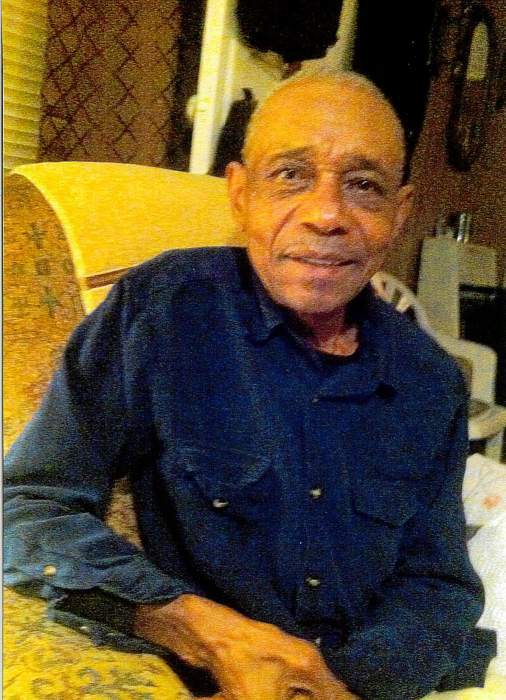 He leaves to cherish his loving memories a loving and devoted wife Maddie Estelle: two daughters Alfreda (Rodney) Estelle Russell and Elaine (Jerry) Taylor of Talladega, Al; son Tracy (Michelle) Estelle of Clay, Al; ten grandchildren and 14 great grandchildren; one uncle, O.C. (Connie) Jones of Birmingham, Al; eight sister in laws; special goddaughter Annie R. Duncan Harmon; host of nieces, nephews that he loved dearly, a very close cousin that he loved and care about with all his heart, Milton Millender of Chicago, Illinois and Ms. Mary Cole of Talladega, Al; and other relatives and friends.